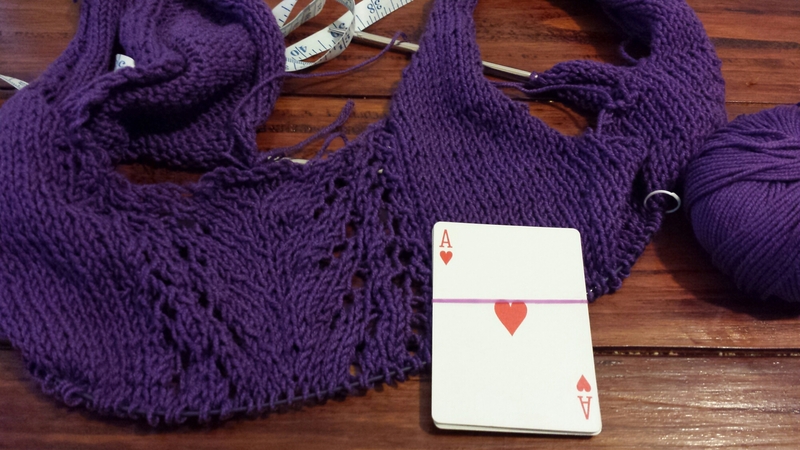 Sticks and Spoons – knit. cook. diy. Holy yum. These puppies are so good! It’s a Smitten Kitchen recipe I came across on pinterest… they’re a cross between snickerdoodles and coffee cake. Sweet and moist cake with a gooey top layer and a sparkly cinnamon sugar dusting. 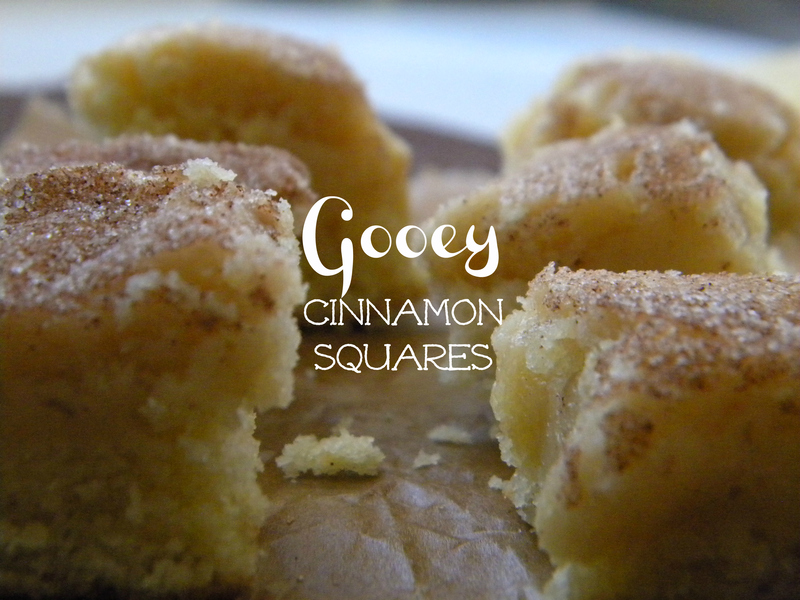 A fellow pinner named this “snickerdoodle crack.” ! I don’t know about that, but I can say that they disappeared awfully fast. It’s not so decadent that you feel guilty having it for breakfast, but it’s sweet and gooey and just right for dessert as well. Ok. So I know matchy-matchy outfits can be dorky. But come on, how cute is she? 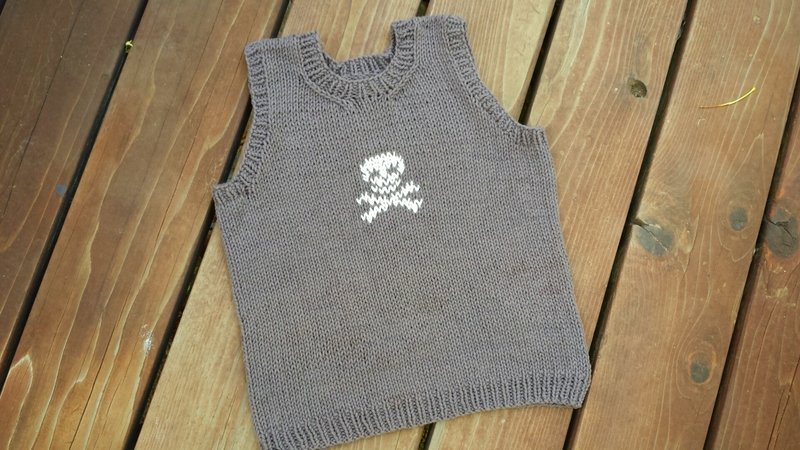 This Kid’s Vest was such a quick, satisfying knit! 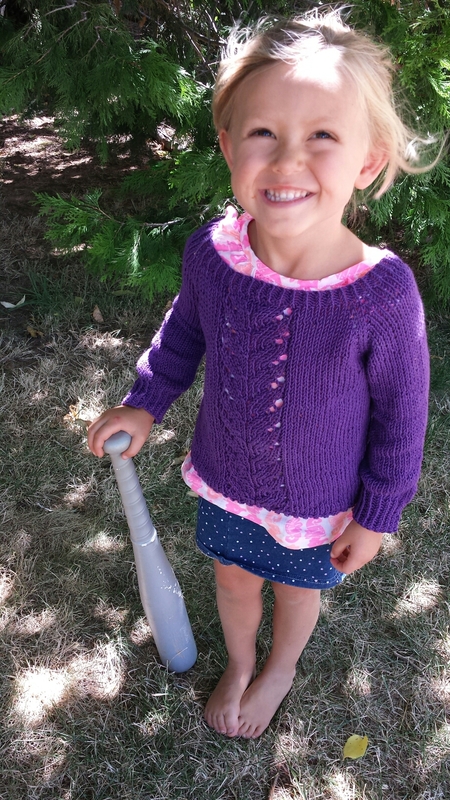 I love not having to knit sleeves, and bonus- I made something for a 5 yr old with less than one skein of yarn. I was getting nervous there. 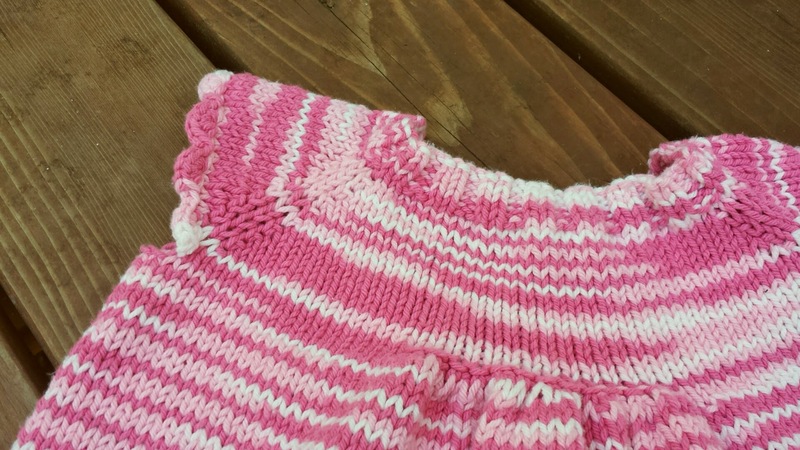 I was down to only one project on the needles, and you know how that is! My other project is at the finishing stages: button band and neckline ribbing. I wanted something else to do while I procrastinated…If that is possible. I’m just dreading picking up all those stitches! My criteria: it needed plain stockinette and simple math. I also wanted to use up some stash yarn, and have had this pattern dog-eared ever since I got the book More Last Minute Knitted Gifts. Sounds like a match made in heaven, no? Oh, we had so much fun yesterday! 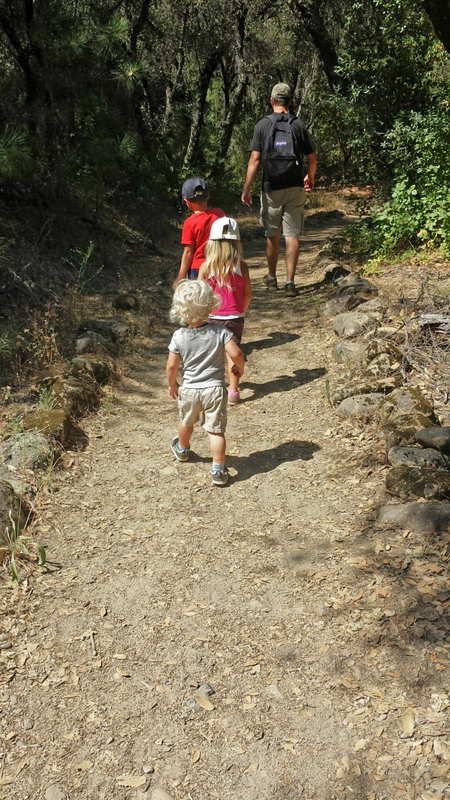 We went to the Dave Moore nature area, which is one of our favorite spots. It is specifically designed for those with physical impairments. It has picnic tables built to accommodate wheelchairs and wide paths and bridges over even the smallest ravine or creek. There are some huge strange rocks that the kids loved climbing around on. 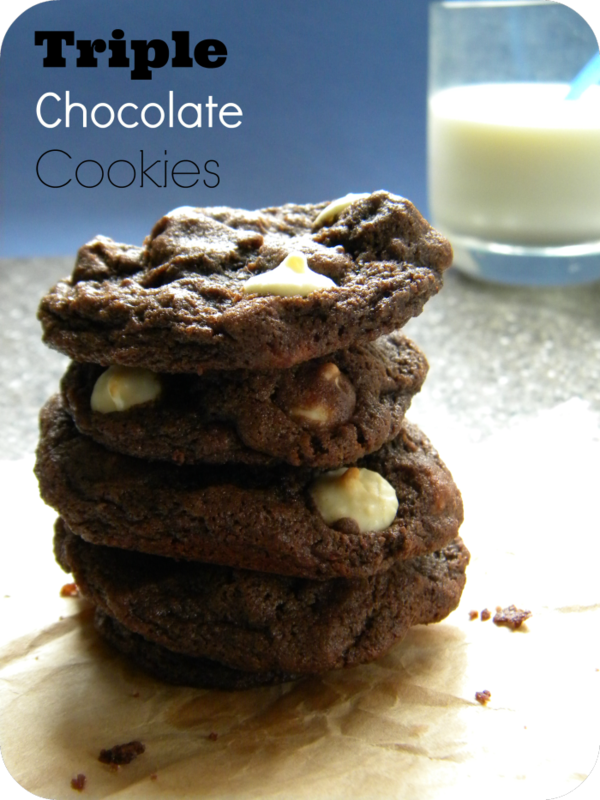 Here is a reader favorite post/recipe from my other blog! Enjoy! You know a recipe is going to be great when A) It’s from Pioneer Woman, B) It begins with 2 1/2 sticks of butter, and C) It contains more chocolate than flour. I have a somewhat silly way I keep track of pattern repeats. Yes, it’s confession time. I keep cards in my knitting bag. In this particular pattern, Looking Back, there is a 12 row repeat. Before I really got the hang of the pattern, I was having trouble keeping track of my rows. Was I on row 3 or 10? I finished this little top a little while ago, and am so happy with how it turned out! I loved the yarn in the cone, but wasn’t sure how it would translate in the top. The bodice is a little tiger stripe-y, but I like it. 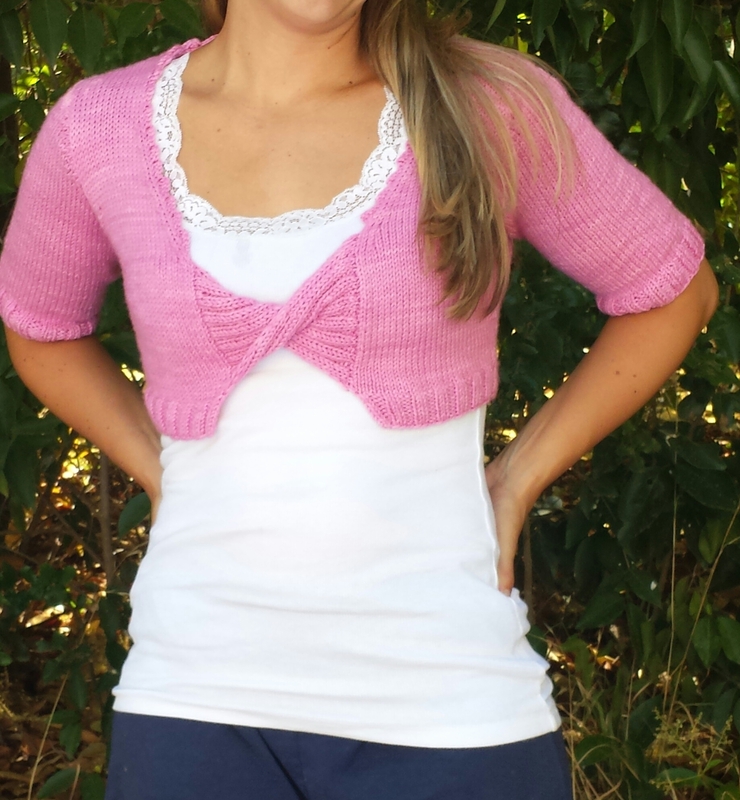 I finally got around to taking pictures in my Twist Shrug (it’s actually called Mother-Daughter Twist Front Shrug). It’s been 95°-100° here since I finished it and it was just too hot! When life gives you a boat, you find yourself a private island! This was the best day ever. We explored the coves around Castle Harbor, and then posted up on a gorgeous soft sand beach! I've heard of the "pink" sand here, and while it's not dramatically colored, little grains of coral definitely give it a pink hue. We got a wicked sunburn 😫 but it was worth it!! This entrance to a cave was so charming! Tucked into a jungle wall.